Looking for one of the best dental clinics on the Island of the Gods? 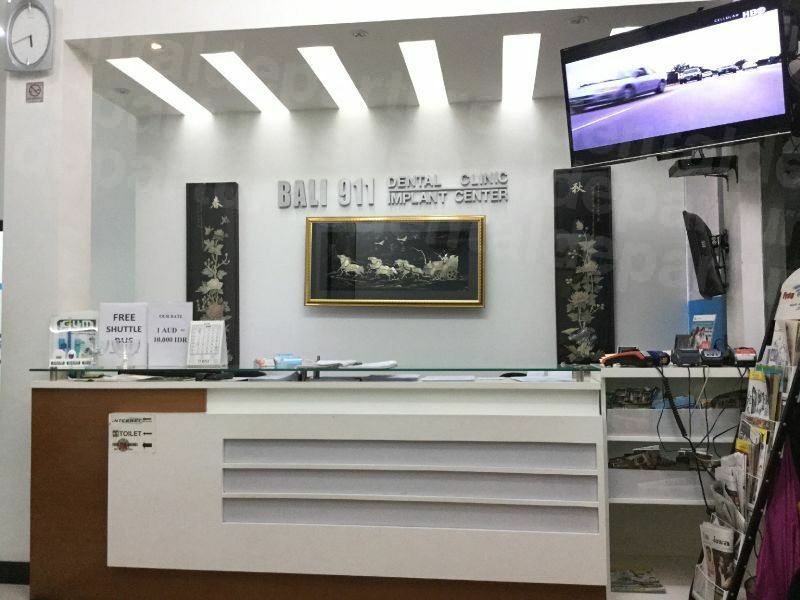 Try Bali 911 Dental Clinic – a favourite among locals and international dental tourists alike where affordability, good-quality and expertise across all areas of dental care ensures its enduring popularity. Bali 911 was established more than 30 years ago. With a highly-skilled team of medical and ancillary staff who offer patients exceptional care and understanding they deliver effective treatments to combat all sorts of oral health issues. There are two branches of Bali 911 on Bali – so you can visit a dentist in Denpasar or, if you prefer, a dentist in Kuta at the Mall Bali Galleria. These two locations are popular with international travellers and the clinics deliver the utmost in convenience by being highly accessible and visible. Dental tourism is an offshoot of medical tourism – where patients from one country seek out medical care in another country – primarily because it is cheaper, or because the treatment is not offered in their home country. In recent years, both medical and dental tourism has been growing – particularly in Asia, and even more so in locations that are already popular with tourists. This could be because international visitors feel at ease in places they have already visited, or it could well be that the tourism infrastructure serves medical travellers just as well, in terms of places to stay, recreational facilities and must-have services and amenities. Bali is no exception and whether visitors visit a dentist on the island out of necessity, on a whim or as a planned dental tourism trip, not only does it offer an exceptionally beautiful holiday destination but it also offers exceptionally good-quality dental care. Ever since the clinic was first established, their motto has been ‘for your benefit’, and their goal to create affordable, oral health solutions in less than a week. These Bali dentists have a wealth of expertise and are the perfect partners if you are making a ‘toothcation’ of it on your trip to Bali. Dr Indra Guizot is the Chief Dental Surgeon and owner of Bali 911 Dental Clinics. A specialist in dental implants, orthodontics and cosmetic dentistry, he brings more than 30 years’ experience with him. Dr Olivia is also a specialist in cosmetic dentistry and dental implants. She has years of expertise in creating attractive, healthy smiles and is a member of the International Congress of Oral Implantologists. The clinics offer emergency treatment, general dental care and specialist care – from a check-up to a full mouth rehabilitation and everything in between. At Bali 911, there are a comprehensive range of treatments available to take care of every aspect of your dental health, including veneers, crowns, teeth whitening and options for gum and periodontal disease, such as gingivectomy and laser periodontal therapy. And it’s not just your dental health that the 911 can help with – they are experts in cosmetic dentistry procedures and can transform your smile into a thing of beauty. The clinic has its own onsite Lab – Ivodent – which provides an integrated environment for dental restorations to be manufactured without having to be sent to an outside laboratory. With the use of Cerec Inlab – a computer-based device – all restorations can be created accurately, efficiently and, above-all, quickly. This means you can get your new teeth and other restorations, such as veneers, in double-quick time. Time being of the essence to international patients, this is another string in the clinic’s bow where they strive to bring perfection to their patients that satisfies ethical and biocompatible needs, as well as providing optimum function. Why choose Bali for a dental holiday? If you are considering a specific dental holiday in order to get a high-cost procedure done, or even if you are thinking about having some preventive work done while you are on holiday, then Bali won’t disappoint. A stunning holiday location, the Balinese people are welcoming and friendly. There is a spirituality around the place and you can see this in the arts, crafts and carvings that heavily feature religious symbolism, as well as in the temples that adorn the landscapes. This captivating island provides a backdrop of green forest, sandy beaches and sparkling waters as well as the mesmerising rice terraces and winding rivers. For outdoor-types it beckons adventure – white-water rafting, kayaking, surfing, snorkelling and fishing, whereas those who prefer terra firma will find quaint villages, traditional Balinese dances and an island steeped in culture just begging to be explored. I love reading the latest travel blogs, news articles and writing about my adventures. I'm currently studying to get a masters degree in Tech Management to further my career. At the moment I am working as a writer for Dental and Medical Departures. Looking for a Bali dentist price list? Compare our listings and get the best deals!